214-520-8999 | Make Restaurant Reservations | Order Now! 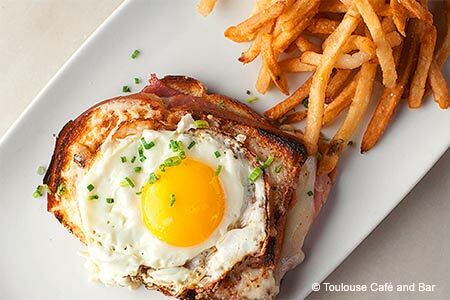 Belgium-inspired French fare in a charming neighborhood-style bistro. : This French bistro nods firmly towards Italy. The cheery interior is adorned with bright murals in the manner of Toulouse-Lautrec and there's a scenic sidewalk patio for those who like to people-watch. Try the authentic steak frites and duck confit. The salade niçoise is a lovely combination of lightly seared tuna, whole black olives, slivers of zesty red onion and fluffy bits of greenery drizzled with vinaigrette. Sweet potato gnocchi are dense, flavorful nuggets served in a freshly chopped tomato sauce; the acidity of the tomatoes makes an ideal counterpart to the sweetness of the little dumplings. For dessert, go for the crêpes stuffed with Calvados-laced apples and vanilla ice cream. Well-made classic cocktails and a focused wine list with reasonable prices complement the European meal.